Upon opening any men’s lifestyle or fashion magazine, there is a good chance you’ll find most featured models are nowadays spotting a beard or mustache. Gone are the days when being clean-shaven was all the rage. Today, growing a beard is the preferred manly fashion trend. Many men have discovered the secret to growing a well-groomed stubble or full-grown beard is using a little bit of oil. 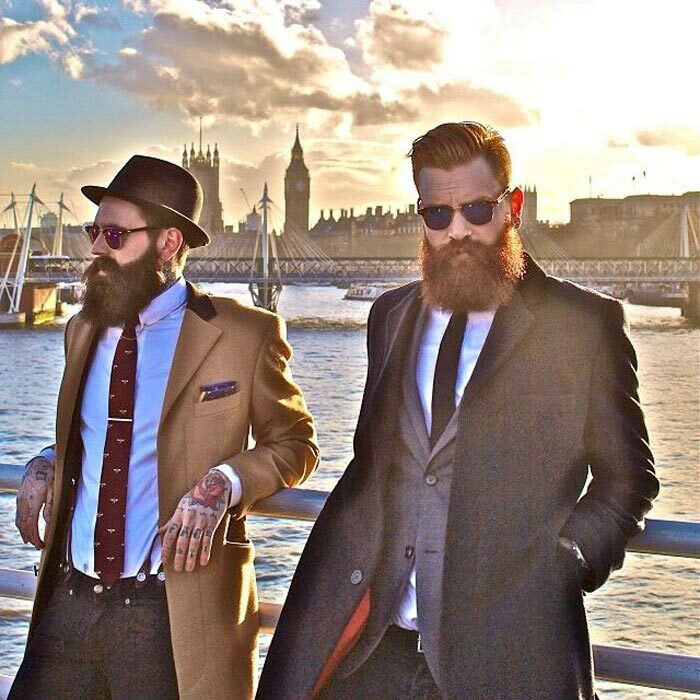 Hence, beard oil has increasingly become one of the must have grooming products for men. Applying a little bit of oil on the face helps unshaven men to moisturize dry skin, soften wiry strands, or just add a nice smell to their breads. While beard oil has plenty of benefits, it can also be expensive. A typical 1 to 2 ounce bottle from reputable brands can cost anywhere between £10 and £20. However, the good news is you won’t go broke trying to maintain a beard of you learn how to make your own beard oil. Not only is this an economical option, but it may also prove to be a fun experience. It’s very simple to make your own beard oil. All there is to it is mixing a few oils and you’re good to go. That said, though, you should first know what basic ingredients to use before trying to make your own homemade beard oil. Beard oils should be formulated with the intent of emulating sebum, the natural oil produced by the skin. In order to achieve this goal, you’ll need to make use of natural ingredients. Generally, beard oil usually contains two main components: carrier and essential oils. As mentioned, essential oils are used in moderation because they’re extremely potent. They also give beard oil a distinct scent. Depending on the source of ingredients you choose to use, essential oils may smell differently and they have a few therapeutic benefits as well. A few of these oils include cedarwood, amla, lemongrass, peppermint, and eucalyptus. Carrier oils will be the first ingredients in your beard oil recipe. Most of these oils may be purchased from your local natural food store. You could choose to use a single carrier oil or mix equal parts of two different oils. Once you’ve mixed your base carrier oil, the next step is to add a few drops of essential oils for scent. Essential oils mostly come in small dripper bottles. Keep in mind that these oils are potent, so you want to be careful not to add too much. About 10 or so drops to each 1oz mixture should be enough. Again, you can choose to use one or multiple essential oils in your recipe. To avoid spilling while doing the mixing, you can use a funnel. Just remember to rinse it with hot water in between different recipes to avoid contamination of ingredients. 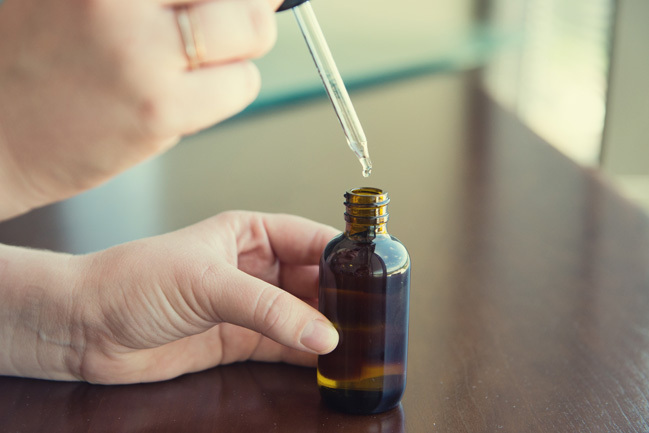 After mixing various ingredients, simply shake your beard oil concoction, place a cap on it, and add a label. The following are a couple of DIY beard oil recipes you can try to make at home, but the options are only limited by your imagination. Note: The coconut oil that you find in most stores comes in solid form. So in order to use coconut oil as your base carrier, you’ll have to melt it. After you’ve added essentials oils, the liquefied coconut oil will turn back into solid, leaving you with a beard balm of sorts. However, the body’s heat from the palms will melt it, turning this “balm” back into oil when applied on a beard. Making your own beard oil is actually that easy. The best part is you can get quite creative while experimenting with different ingredients and recipes. The start-up costs of buying different bottles of oil for each ingredient may be more than the price of buying commercially available beard oil. However, your cost per bottle will be much lower in the long-run as you continue to make your own beard oil the way you like it.